Marvel’s X-Men: Days of Future Past is a lot of things. It is a time-travel saga. It is a near-perfect comic book adaptation. 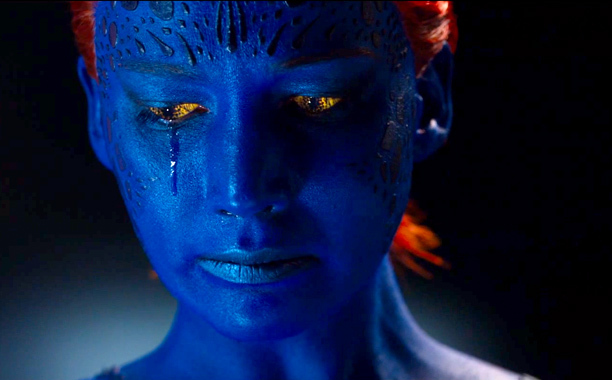 But at its core, X-Men: Days of Future Past is a study on discovering and accepting who you are. Just like its predecessor X-Men: First Class, X-Men: Days of Future Past has a sizeable cast, but its main focus is on the dynamic between Xavier, Magneto, and Mystique. Whereas X-Men: First Class explored the subject of accepting oneself (“Mutant and proud!”), X-Men: Days of Future Past takes things to the next level as these three central characters come into their own and are led by what is most important to each of them. To go any further into the storyline would be to spoil the movie, and that just ain’t fair for those that have not seen the film yet. But, the film is truly a masterpiece, quite possibly the most serious moviemaking done based off of a comic book platform yet that doesn’t come off as either overbaked or just downright depressing. While the majority of the film is dramatic storytelling (anchored brilliantly by the skill of James McAvoy and Sir Patrick Stewart), the comedic and action-packed elements break up the emotional content to keep the movie digestible and maintain that comic book movie feeling. By far, the most entertaining scenes of the film spotlight Quicksilver. While the super speedster has a minor role in the film, he gets moviegoers laughing and gasping for air with his antics. Lucky for fans, he’ll have a more substantial presence in the next film. Perhaps the most notable feat that is accomplished by this film is how it links to and unapologetically erases the first trilogy of X-Men films (X-Men, X2: X-Men United, and X-Men: The Last Stand). Comic book afficionados bemoaned those films for their sloppy adaptations of the source material and overall inconsistency. But the actions taken in this film nullify all of that, aligning any prior timeline issues and (hopefully) doing away with some of those films’ ill-advised stories all together, including SPOILER ALERT! (highlight the words in white to reveal the secret) the resurrection of Jean Grey and Cyclops. Things haven’t looked better for this franchise. The only weaknesses that the film had were in how it deviated from the comic source material. Some character representations fell flat (that means you, Bishop) and Wolverine’s continued omnipresence is overstayed. But it is all done so well that these minor irritations can be overlooked. Even in dealing with time travel, the movie manages to somehow avoid any plot holes. The filmmakers deserve applause for that in and of itself. In the end, X-Men: Days of Future Past is just an enjoyable film, whether you are a comic book fan or not. It takes the platform that was created in X-Men: First Class and takes it to new and more exciting places. Cinematically, the battle scenes are immensely engaging, and storywise, there is a realness to the stakes that is often missing from traditional comic book movies. The epitome of this is a moment that has been spotlighted in nearly every trailer for the film where a sentinel leaps through the air and is about to impale Halle Berry’s Storm. Even after seeing this one million times, the actual moment still managed to have gravitas. That’s good moviemaking. If you haven’t seen it yet, go. You won’t be disappointed. (And stay through the credits for the end credits scene … it is a glimpse at what is to come). Previous story Ta-Nehisi Coates Has Courage to Make the ‘Case for Reparations,’ Do You?